Give yourself the gift of a massage from a local massage therapist at Elkhart Massage. Our masseuses have proper training to take your body relaxation to the next level. We help customers of all varieties, those in pain and those looking to feel better about their bodies. When you’re ready for a massage from one of the best masseuses in the country, give Elkhart Massage a call at 574-584-2961. Keep in mind that Elkhart Massage comes to you, which allows you to have an even more relaxing time because you are in the comfort of your own space. ​Massage is the manipulation of muscles, usually through rubbing or kneading, for purposes of improving health. Massage first became popular in the United States as a means of relaxation. It was usually performed at expensive spas and was thought of as something only people with lots of money and lots of free time to travel could afford. Of course, in reality, massage is much more than that. The types of massage we at Elkhart Massage offer can be performed right in the comfort of your own home, and they are not expensive at all. Some types of massage are very similar to some physical therapy techniques used in rehabilitation after an injury, some are associated with various schools of alternative medicine, and some massages do not even involve rubbing muscles at all. It goes without saying that not all types of massage require you to remove your clothes, and for the ones that do, you are still wearing a robe or towel. Massage has many health benefits. It is a very popular and effective form of pain management. Many people who suffer from chronic pain from sports injuries or from back pain find that deep tissue massage helps relieve their symptoms. For people who just want to get rid of everyday aches and pains, Swedish massage is usually the preferred type of massage. Swedish massage is also known as traditional massage, and it involves rubbing and kneading the muscles as well as applying percussive strokes to them. Swedish massage and deep tissue massage are not recommended for people with osteoporosis or people who take blood thinning medications, as intense rubbing of the muscles can increase the risk of bone fractures or severe bruising in people who are already at high risk of those things. Elkhart Massage also offers more specialized kinds of massage, such as Reiki massage, Thai yoga massage, aromatherapy massage, and hot stone massage. We even offer massages specifically designed for elderly people, athletes, couples, and pregnant women. Our massage therapists will come to your home anywhere in northern Indiana and southwestern Michigan. 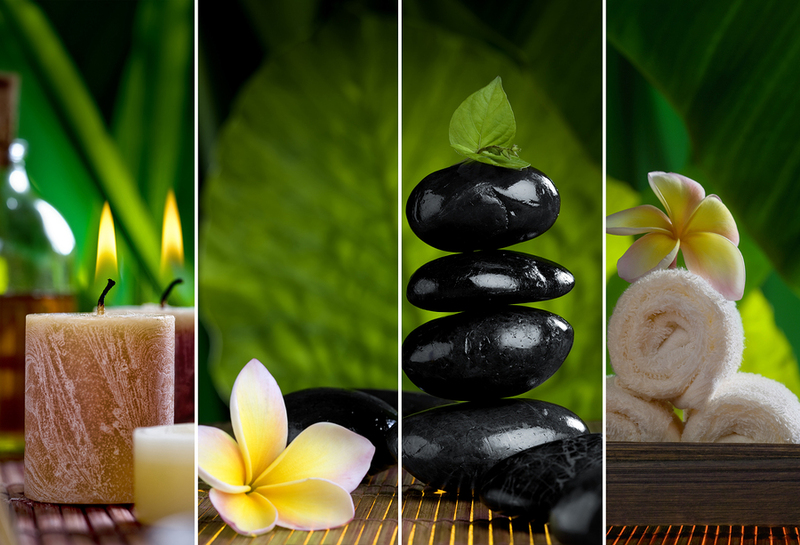 We bring all the equipment we need, from massage tables to oils to hot stones. Depending on the type of massage and on your preferences, our massages can last as little as 15 minutes or as much as two hours. Before your first massage, we will get a thorough health history from you so that we can be aware of any risks and avoid massage techniques that may be harmful to you. Our massage therapists will always listen seriously to your needs and concerns and always have your health and comfort in mind. You can contact us by phone or by filling out a contact form on our website. Whether you just want to relax and relieve your aches and pains or whether you see massage as part of your way to physical fitness and spiritual well-being, Elkhart Massage has something for you. We are proud to help the Elkhart community feel refreshed and healthy.